- He has got the autoload script and additionally a loading help below or left side. If you want to load different lengths and the lower loading aid is hidden you can continue to use the side. 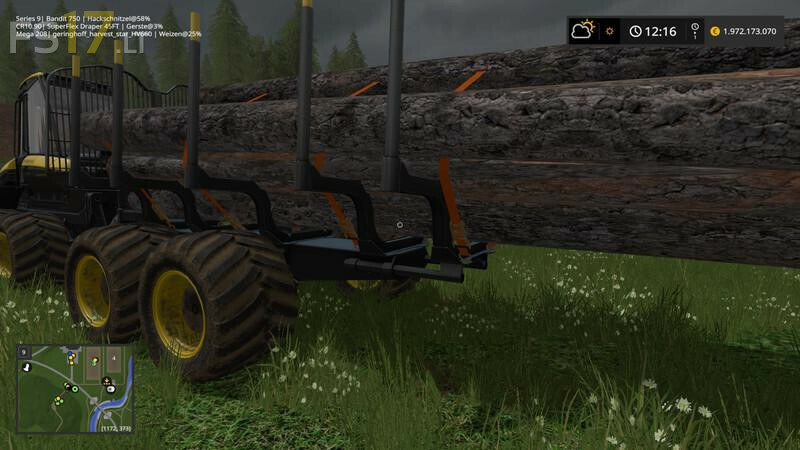 - To load help: If you want to load 8m long logs you have to move it with the right mouse button so that you can see the 8m on the tail lift. If you want to load 15m long logs you have to move them with the right mouse button so that you see 15-16m at the tailgate. Then you start the autoload, before of course still select the right loading page (left or right).